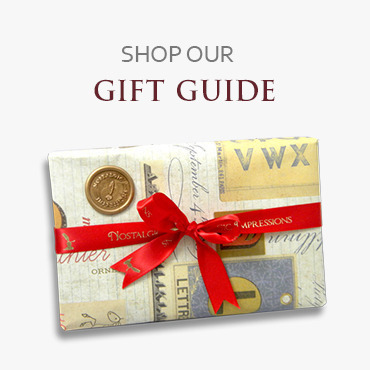 Specialists in Wax Seals, Sealing Wax and Vintage Writing Accessories since 1945. Let us help you create a lasting impression. 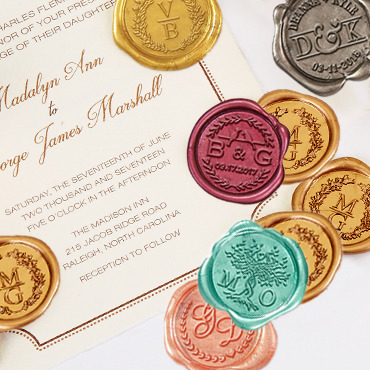 If you long for the elegance of a bygone era, when you made your wax seal mark on letters and documents with a personal wax seal stamp or you enjoy the social grace of a hand written letter, you have come to the right place. 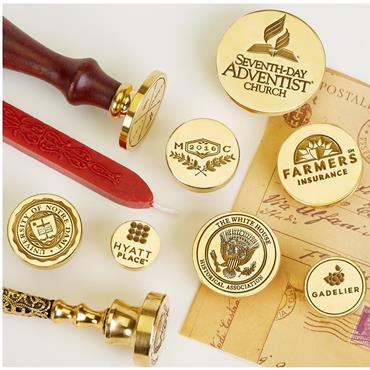 Custom Wax Seal Stamps personalized with your font, logo or design are our specialty and our exclusive selection of Stock or Custom Wax Seal Stamps is the largest and best you can find anywhere. 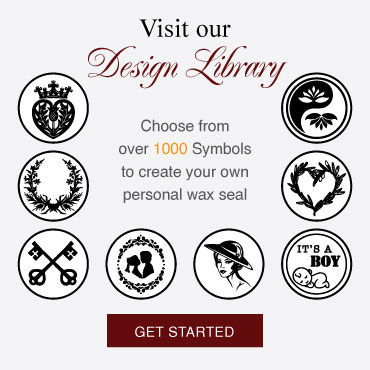 Modern and Traditional Sealing Waxes will help to awaken your creativity. Use our Monogram Maker to create a monogram just for you! Our tools elevate the everyday living and writing experience. 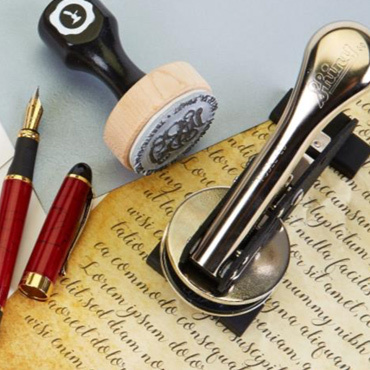 Our constantly growing collection of quality writing products includes Feather Quill Pens, Calligraphy Quill & Ink Sets, Writing Inks and a large selection of Vintage Desk Accessories - from Letter Openers to Journals, Parchment Papers and Ink Blotters. 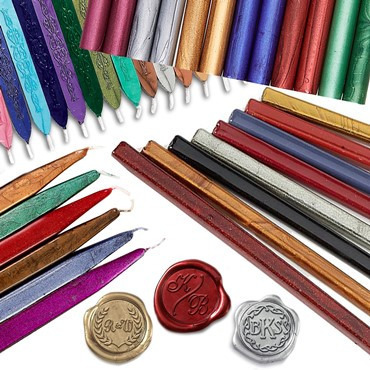 While it is true that you can use an ordinary ballpoint pen to compose a letter, it lacks the aesthetic pleasure that comes from penning your message with a quill pen, glass dipping pen or fine writing instrument, folding your special parchment paper and stamping your own wax seal insignia into sealing wax. 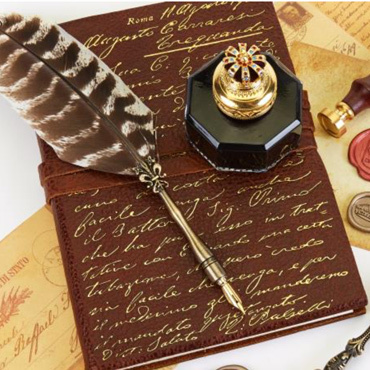 If you have never used a quill pen, you can order one here and feel like Shakespeare for a minute or two.